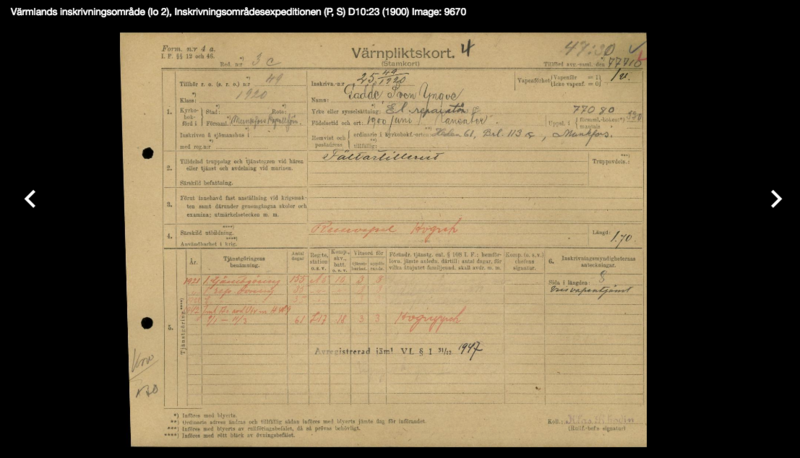 ArkivDigital now provides an index to military service cards (Värnpliktskort or Stamkort) for the period 1902 to 1941. 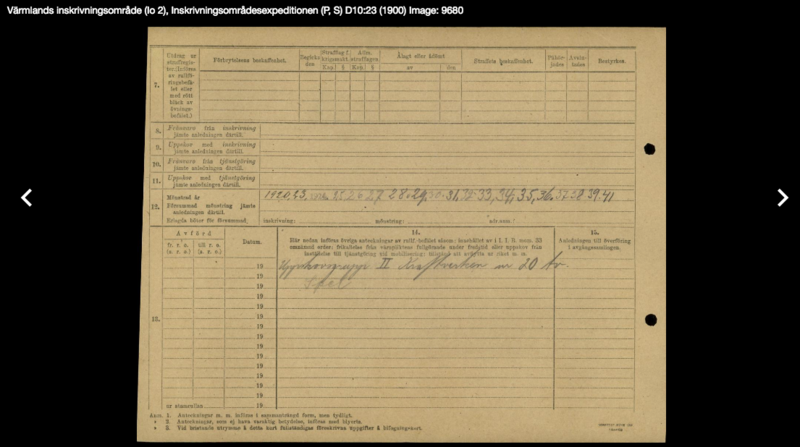 These service records have been available on ArkivDigital for some time but they can be difficult to find. Using the new index could not be easier. 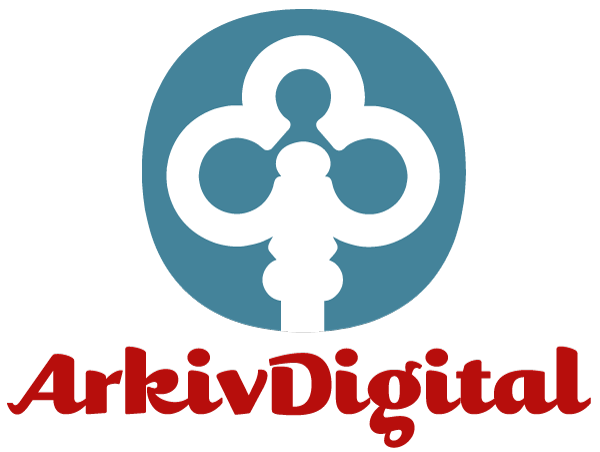 You must have an All-in-one subscription and be using the web version of ArkivDigital. 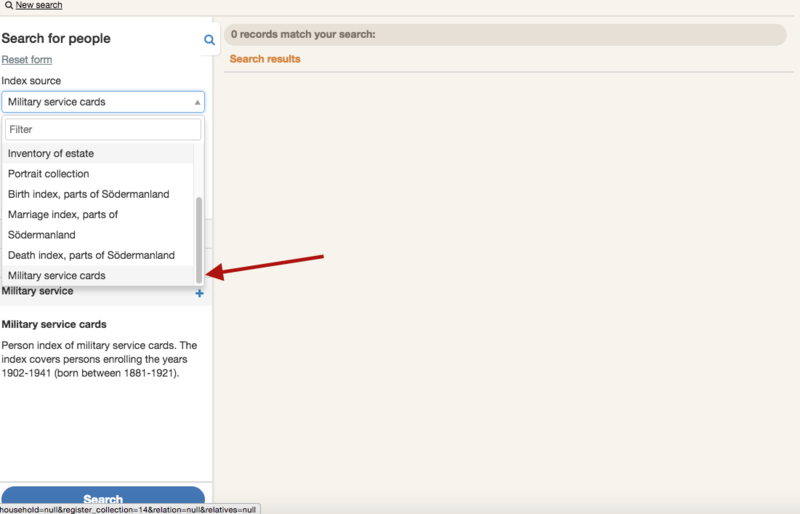 Just select “New Index Search” it will bring up the “Search for People” form. 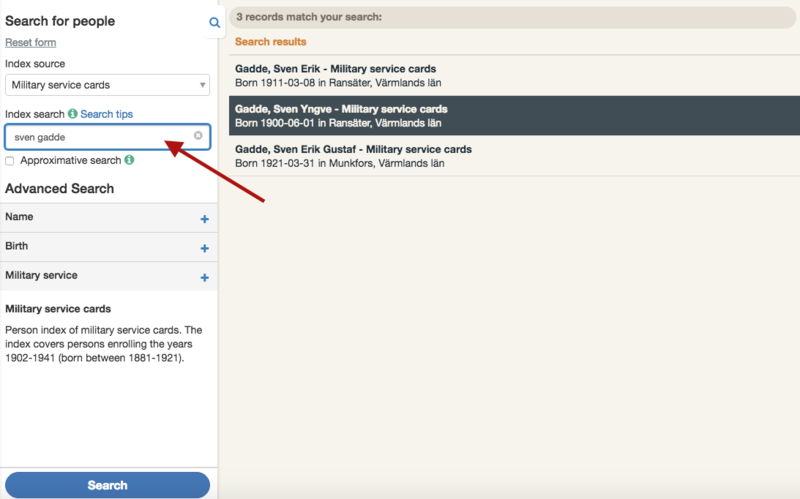 Select “Military service cards” from Index Source, provide a bit of information like name, birthdate, birth parish etc and it will pull up options. Select the correct option and you can see the digitized service card. Keep in mind there is a reverse to this card so advance to the next image by clicking on the right-side arrow. There is often not much information on the back but it might be interesting, here for example we can see the years in which Sven Gadde participated in the annual muster. Essentially, all men born between 1881 and 1921 should have a service card, as military service was mandatory for men. For more information on this new index see ArkivDigital’s blog on the subject.